Specializing in making training a postive experience for you and your dog. After working in the corporate world for 26 years I decided I needed a change. So I started volunteering at the Finger Lakes SPCA of CNY. Working around animals made me realize that I could make a big difference in their lives. It has been estimated that approximately 60% of the dogs in animal shelters are there due to unruly behavior. I wanted the opportunity to help them have a second chance in life, so I enrolled in the Dog Obedience Instructor Training Program at the Animal Behavioral College (ABC). I chose this program because ABC teaches trainers the importance of using positive reinforcement techniques when training dogs. In a nut shell this means that correct behaviors are rewarded and incorrect behaviors are not. Students are also matched up with certified trainers and experienced hands-on training. ABC embraces the use of positive reinforcement and negative punishment (taking something away that the dog desires) training techniques. Part of the program requires the student to put into practice what they have learned and to volunteer at a local shelter, humane society, or rescue. I cannot begin to explain the overwhelmingly good feeling that I get when a shelter dog finally finds a new home and to think that I may have made a difference in that dog’s life. I hope that you will give me a chance to make a difference in your pet’s life as well. Brenda offers the following programs. 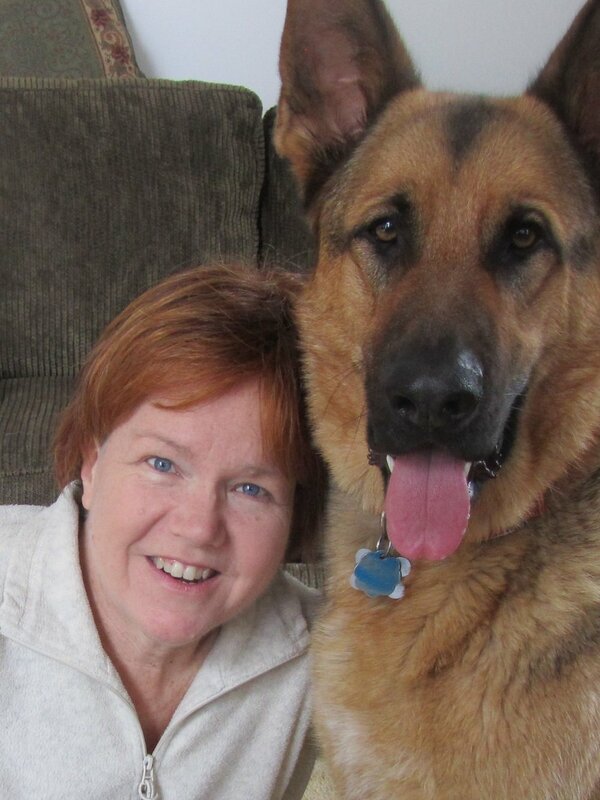 She will work with you to figure out a training program that will best suit both your family and canine. She encourages the children to attend the training sessions and works with them to make sure they understand how to communicate with their four legged family member. Lessons are available at your home or at her new training facility. Brenda also volunteers at the Finger Lakes SPCA of CNY. In her free time she enjoys kayaking, gardening, and reading. She also enjoys spending time with her husband Mike; four cats- Neville, Watson, Calvin, and Albert; and her newest family member ...an English Springer named Walker Texas Ranger. Come meet Walker at a training session or play group. As a dog owner for many years, I have always enjoyed being able to work and spend time with my dogs. While I have loved working with my own dogs, I felt that I could also make a difference in other dog’s lives. After doing some research, I found the Animal Behavior College and felt it was a great fit for me. I couldn’t wait to get started in the program and earn my certification in Dog Obedience Training. During the ABC course, I was assigned a mentor to help with hands on experience, perfect my skills and earn my certification. In my free time I enjoy going for walks with my two German Shepherds, reading and spending time with my family. I also maintain a full-time position as an RN.